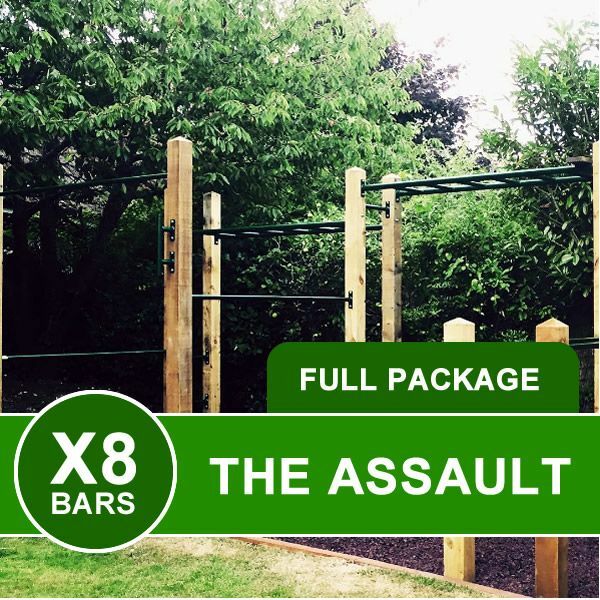 ‘The Assault’ Multigym uses 2 x monkey bars at different heights with a connecting bar for transitions. 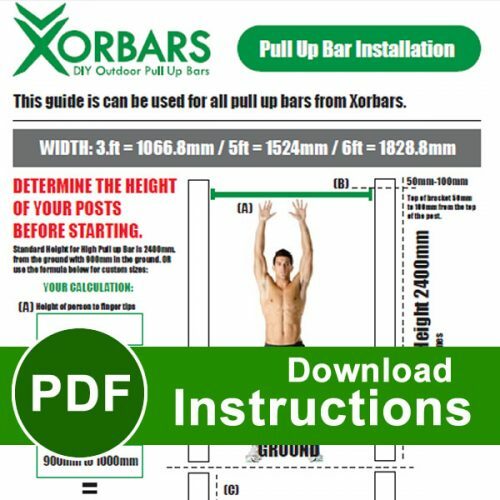 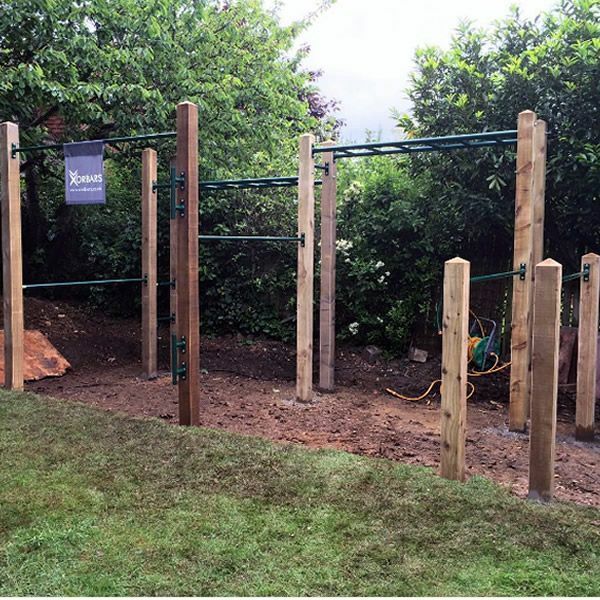 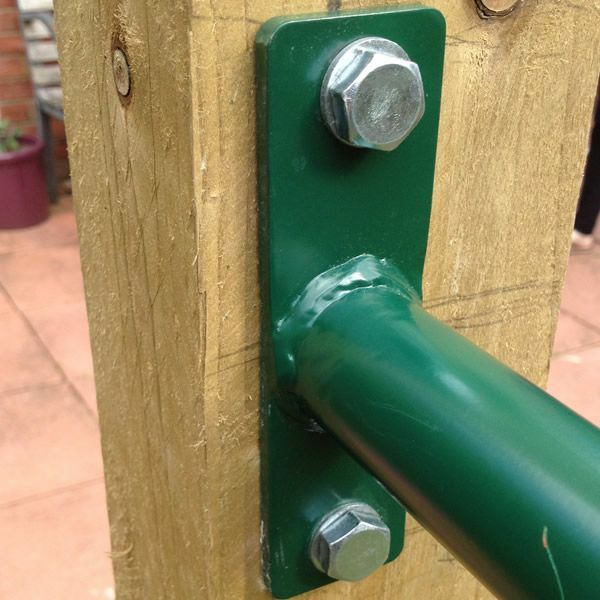 With 3 x pull up bars at varying heights and 6ft long parallel bars, this garden gym is ideal for all the family or any calisthenics enthusiast. 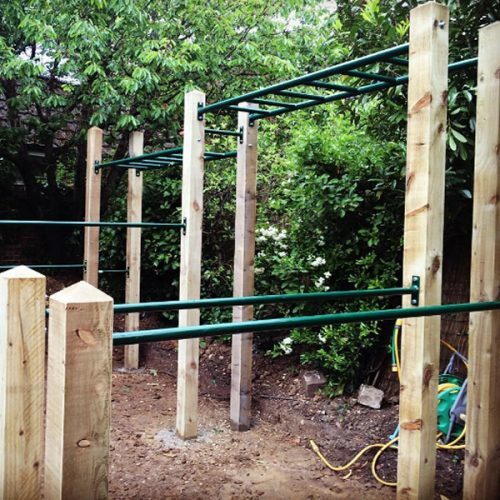 Why not add some parallets and the human flag bars to help you reach new strength and fitness levels.